After making it to the base camp, i.e. 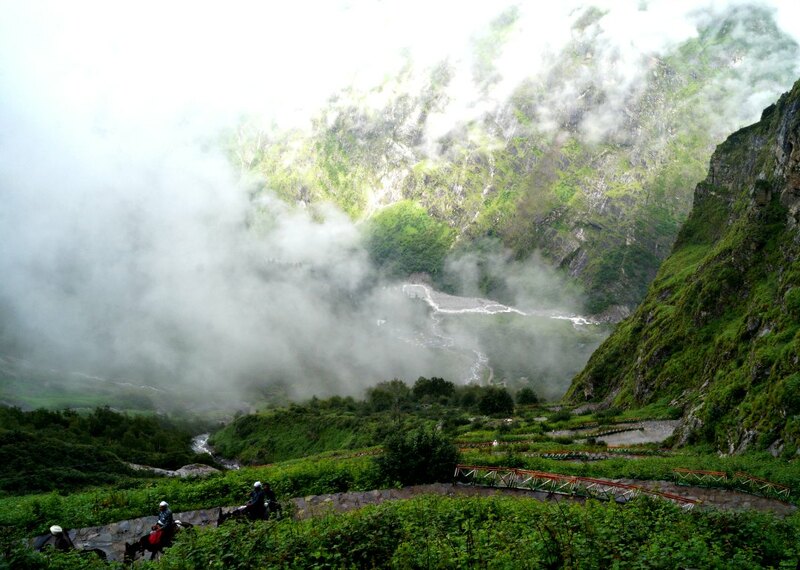 Ghangaria, I had to decide on which hike to do first – the Valley of Flowers or Hemkund Sahib trek. I asked many locals about what’s the best order, and most of them suggested me to do the toughest first, which was Hemkund Sahib trek. So I went ahead and did it. And believe me, it was an amazing & exhausting experience! It was more challenging than the trek to Valley of Flowers. Before you read my journey, let me share some practical information first. 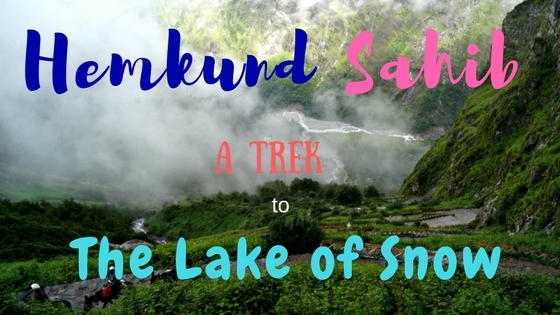 Hemkund in the Sanskrit language means a Lake or a bowl of Snow, a name attributed to the glacial lake. 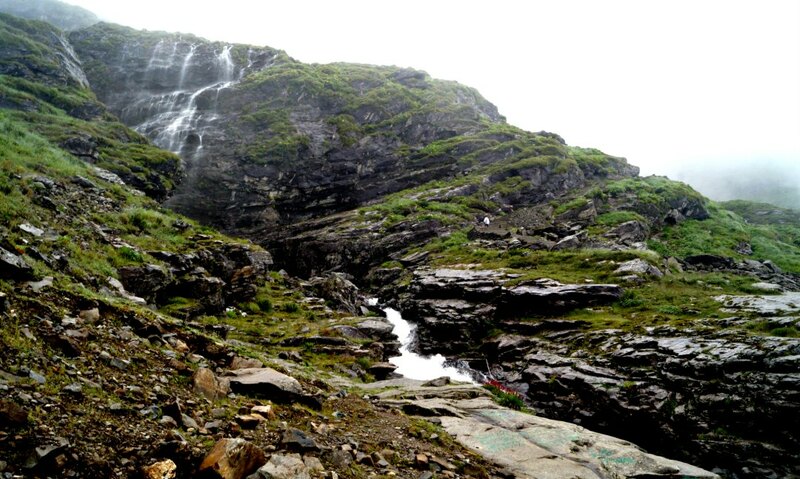 Hemkund Sahib trek is a sacred pilgrimage experience for the Sikhs. 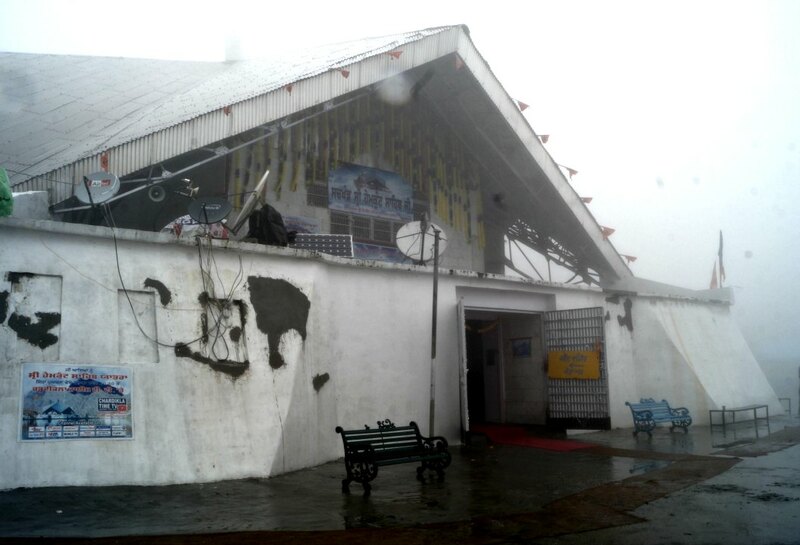 Hemkund Gurudwara is dedicated to its 10th leader, Guru Gobind. It’s the highest Gurudwara in the world at over 15,000 ft or 4640 meters. Also, after Golden Temple in Amritsar, Hemkund is the second most visited Gurudwara in India. The Valley of Flowers, which you’ll find on the way when you to trek to Hemkund Sahib is believed to be a floral shower from heaven when Guru Gobind came to this earth. How to Reach Hemkund Sahib? Assuming that you are arriving at Hemkund Sahib from Delhi, You’ll first have to travel to Rishikesh which is the starting point for the trek. The distance from Delhi to Hemkund Sahib is 238 km. By Flight: The nearest airport is at Dehradun, and there are a few flights from Delhi to Dehradun every day. 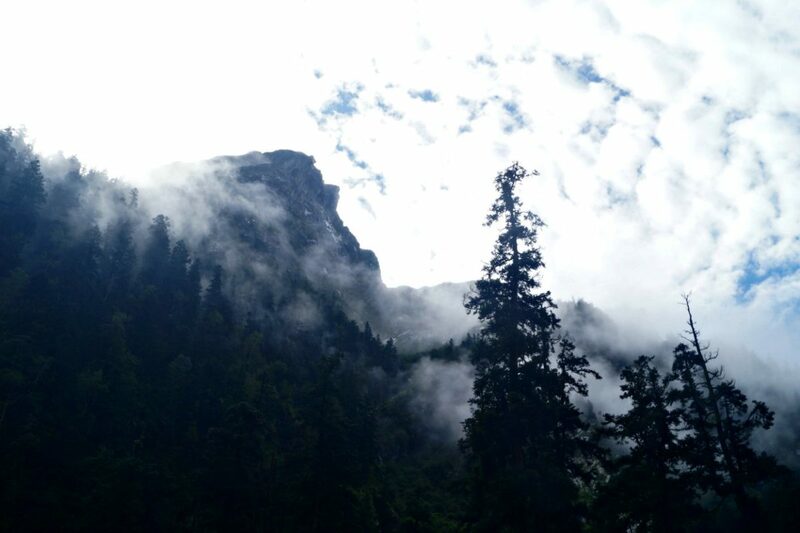 The distance from Dehradun to Hemkund Sahib is 253 km. From Dehradun, you have the option of taking the shared cab (cheapest), private cab (expensive), buses (cheaper). Hemkund Sahib by helicopter: For those who cannot trek, there is a helicopter service that flies you to the Gurudwara and back for about 3000 INR. This service is not regular and is heavily dependent on the weather. 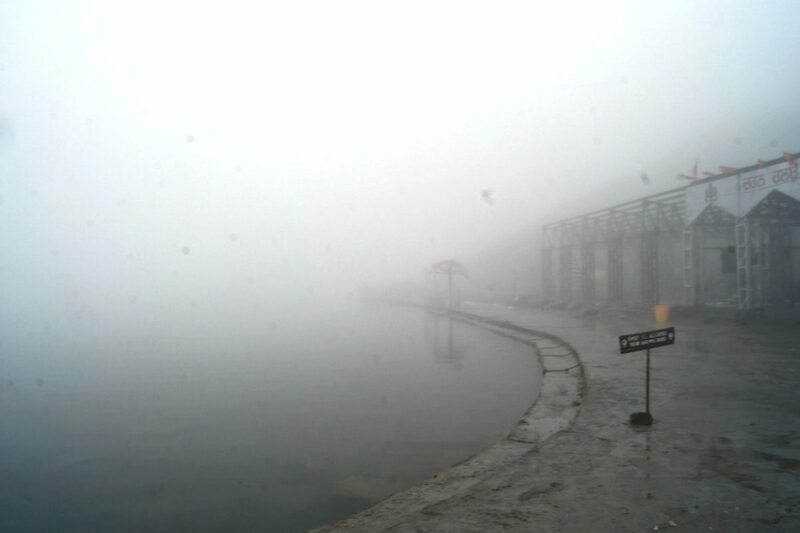 You need to book at Govind Ghat in advance if you want to avail copters. Hemkund Sahib weather – What is the best time to visit Hemkund Sahib? Hemkund Sahib Gurudwara opens in May every year and closes just before the onset of Winter, around October. People visiting the temple on a pilgrimage go throughout in this season. Hemkund Sahib’s weather changes during these months, from snow to monsoon. 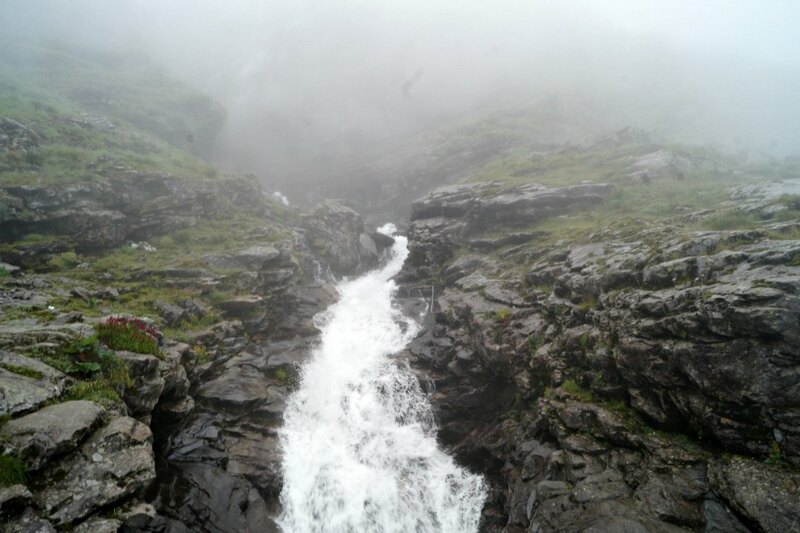 As a trekker, the best time to do Hemkund Sahib trek is around July/August. The monsoon would have started making it cool. 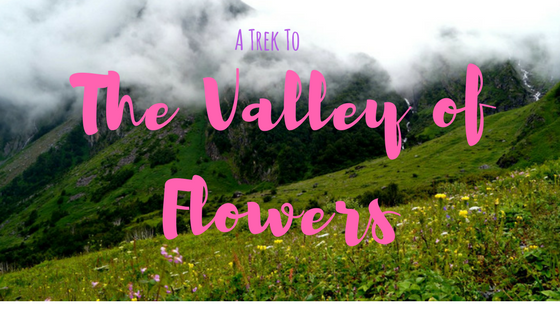 And you have the chance to do the spectacular Valley of Flowers trek as well. Apart from being uphill, Hemkund Sahib trek is tough because it gains a rapid altitude of about 1300 meters or over 4200 feet within a few hours. A sudden rise in altitude can affect us in different ways. I heard from people at Govind Ghat that over 50% of the people trekking to Hemkund Sahib are prone to Acute Mountain Sickness (AMS). This worried me honestly more than the difficult trail. I had been unable to acclimatise during my winter trek to Kuari Pass. Also, I was trekking by myself without any group this time, and this bothered me more. Anyway, I HAD to trek now that I was here. I chose to tackle the tougher beast first. I started the trek early, at 6 AM on a morning that seemed clear (little did I know that it would be temporary!). It was a little accomplishment to me already – Hey, I woke up at 4:30 AM. (Yes, I’m TOTALLY NOT a morning person) and was out of Ghangaria in a few minutes. The chilling morning and the wind already looked intimidating. The ascent began quicker than I had expected, and within a few minutes, I was on a cobbled path that curved upwards. 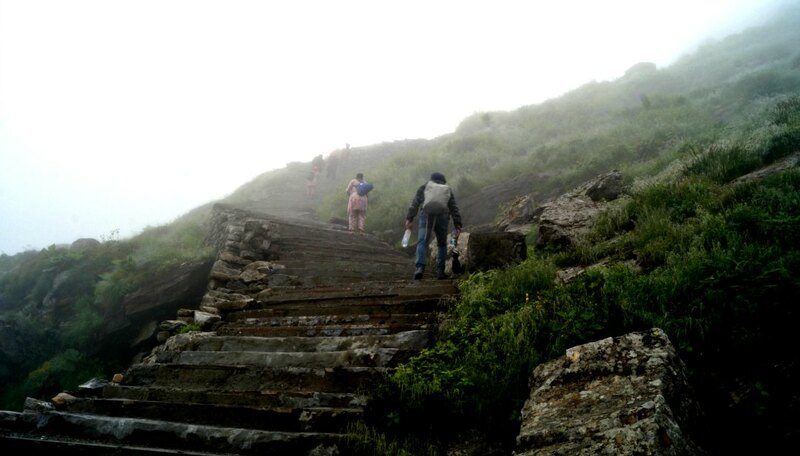 I passed through gorgeous waterfalls at many places, and as I climbed, the path below began to look steeper and disappeared amidst the thick fog. After a while, it started raining heavily. I pulled out the raincoat and wrapped my camera. Rain posed a new challenge – first of all, it made the weather super cold as it brought strong winds with it. Then the existing fog thickened, totally blurring the trail. Plus we were gaining altitude at every turn. Well, when the going gets tough, you should just stick around! Also, having no shelter to escape rains kind of propelled us to keep moving forward. The only thing that looked positive and gave me a purpose of moving was the majestic landscape that grew more dramatic as the altitude gained. I was also one of those lucky people to see Brahma Kamal, a rare wildflower that blossoms once in 12 years. I made way taking small steps and people around me kept encouraging me. An old man (one of the priests) passed through and blessed me. The last leg remaining for about half an hour was the toughest of all. 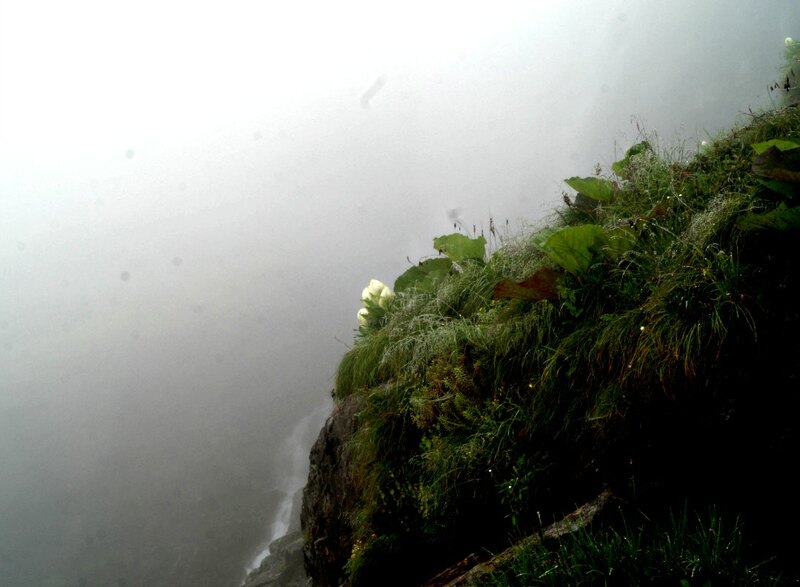 I realised I was among the clouds when I looked below to see the path that I had just trod disappear! The altitude had caught me then, despite my efforts to resist. After trekking for about 5 hours covering a distance of 7 km, I reached the summit. The partial view from above was stunning. I was thrilled. I felt dizzy and my head throbbed with pain. I thought I would pass out anytime. I quickly found a bench and sat. Pilgrims were taking a dip in the frozen waters of the lake. I fought to stay awake and was successful. After the dizziness subsided, I took a walk around. I went inside the Gurudwara and luckily, I got to witness the entire ceremony, which was something new and was very serene. The old priest that I had met looked at me and smiled. I got to savour hot tea and lunch – a fitting reward for an exhausting trek. After spending a few hours, I made my way back totally drenched in the heavy rain which didn’t stop at all until reaching the base camp. It was evening, I was shivering and could not feel my legs by the time I was back in the hotel. But I couldn’t be happier. I had cleared the tougher of the two, which turned to be the right decision – because the valley of flowers truly felt like a cake walk after Hemkund Sahib! Have you been to Hemkund Sahib? If not, you must go – It might be tough, but if I made it alone, You could do it too! 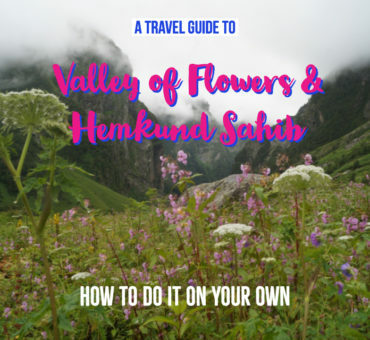 Check my DIY travel guide to the Valley of Flowers & Hemkund Sahib to plan your trip. I did both under 4000 INR. I’m not kidding! Hemkund Sahib 2018 Update: Hemkund Sahib opens for travellers in May 2018.